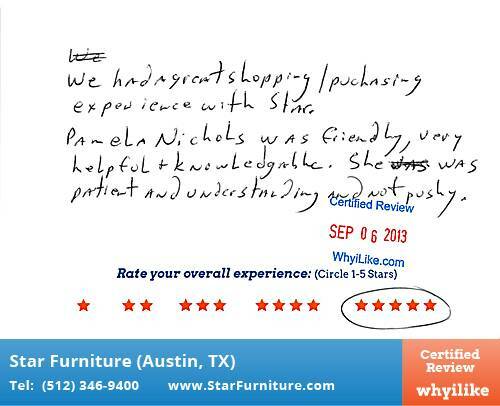 We had a great shopping/purchasing experience with Star. Pamela Nichols was friendly, very helpful and knowledgeable. She was patient and understanding and not pushy.